Remember that fake report a few years back of how Samsung paid Apple its $1 billion damages in five cent pieces? It was an entertaining story, if a made-up one. Fact is, though, it was somewhat believable, since when big companies want to make a show of dissent, they tend to go all-out. Case in point: Uber. The app-based taxi firm is not happy with the government in Queensland, Australia, which recently passed a law that could see ride-sharing drivers and administrators of such services punished with fines to the tune of AU$23,560. While the firm did manage to persuade bemused customers to send remonstrative emails, they were swiftly blocked. 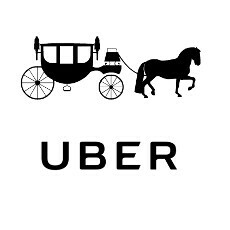 So Uber has taken the obvious step to print out some 15,000 emails and deliver them via horse and carriage! It's fair to say that despite its monumental success over the past few years in changing the way we travel, Uber's journey has been fraught with roadblocks. Aside from the stories of regular cab drivers reacting violently towards emerging systems that threaten their livelihoods, there has been plenty of legal bother for Uber and its peers to contend with. The bill passed in Queensland Parliament puts drivers of ride-sharing businesses like Uber at risk for fines peaking at $2,356, while the administrators can cop fines of almost $24,000. Though Uber is obviously not happy with the ruling, the general public has also warmed to the convenience and pricing structures of the company. Thus, it's not surprising to hear that so many made the effort to write in and protest the decision of the Queensland authorities. Whether this stunt makes a difference, only time will tell. Clearly, though, Uber is trying to make the point that the Queensland government really needs to get with the times. I think you'll agree—it's a point well made. Sorry, but what was wrong? So, the Australian government did what? Fining every Uber driver? Very amusing story but Uber is full of rubbish, at least here in my home country. Yep, Uber is so much worse than taxi companies and public transit that charge an arm and leg and treat customer's like pictured horse's manure. I get treated like gold. Idk what you're talking about. I love Uber. I dont condone all of what uber do ( like cheating on tax ect ) but the business model and pricing is good. Much better than those taxi monopole we have currently. They need to follow rules ( uber )but to completely block them like this is just acting in favor of the current taxi monopol. You do realise that Uber is in itself a monopoly with it's drivers. Why is this on Phone Arena? What does it have to do with phones?